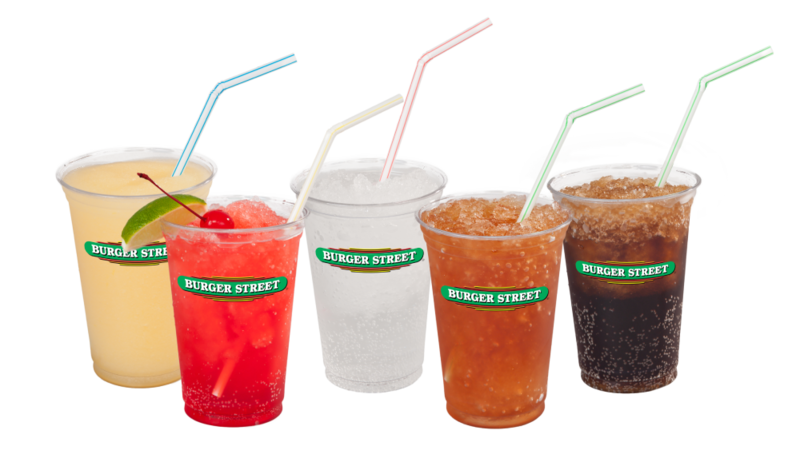 Burger Street, a family owned quick serve hamburger chain, was founded by Bill Waugh in 1985. His other restaurant ventures have included Casa Bonita, Taco Bueno and Crystal's Pizza. The Casa Bonita restaurant in Denver was the largest Mexican restaurant in the world with 1000 seats and serving over one million customers a year. In 1981 Bill sold his restaurant chains to the British food company Unigate. The first Burger Street opened in Lewisville Tx., offering 99 -cent 1/5 pound hamburgers. In 1999, the burger was upgraded to 1/3 lb. Currently there are fifteen locations in the DFW area and four in Tulsa Ok. Since 1985 Burger Street has become known for deliciously fresh cooked to order hamburgers, huge Double Double, unique Olive Burger and Chili Cheese Burger. Other sandwiches, the BLT, Giant Turkey and Grilled Chicken round out the menu. Signature drinks include Frozen Lemonade and Cherry Limeade. Bill Waugh's philosophy has always been to produce deliciously fresh hamburgers made with only the highest quality ingredients. Try one today! Burger Street comes to Roanoke, TX! We are delighted to announce a new phrase in the Bill Waugh story - the next step in his vision for Burger Street! This newest location boasts a fresh updated design with open seating for 96 customers. The 12 feet ceilings and high windows bring the outdoors in to give customers a comfortable and relaxing dining experience.